To the adult cardiologist, the language of congenital heart disease can be confusing and the spectrum of disease bewildering. Many find the prospect of meeting an adult with complex congenital heart disease in the emergency department disturbing, and rightly so. This book aims to dispel confusion and equip cardiology trainees, general cardiologists and acute medicine physicians with a sound understanding of the principles of the physiology and management of adult congenital heart disease, so that they can treat emergencies and recognise the need for referral to a specialist unit. 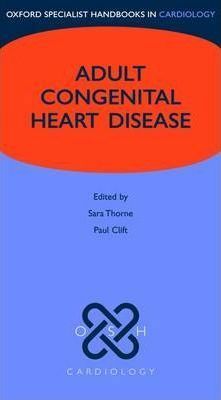 With easy-to-understand diagrams and key clinical points, this handbook provides both rapid reference for use when the clinical need arises and also an insight into the basic principles of congenital heart disease, giving the reader a good grounding in the care of the adult with congenital heart disease.